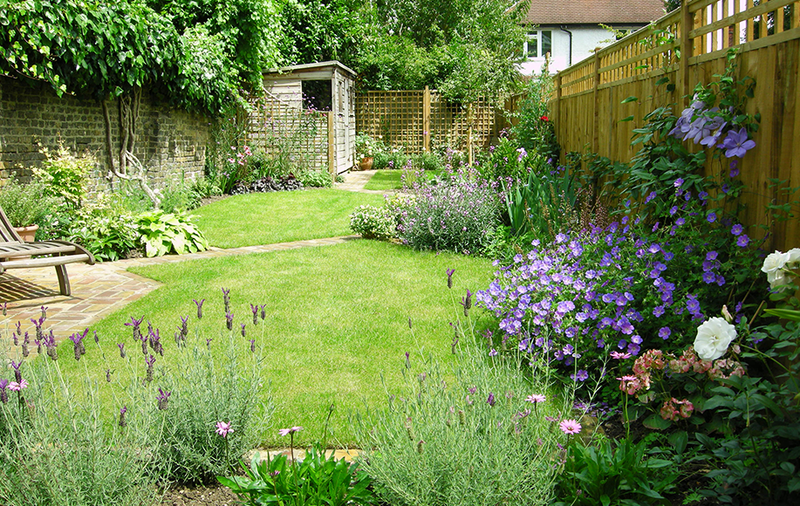 This long narrow garden belonging to a retired couple in Wimbledon had become overgrown and difficult to maintain. 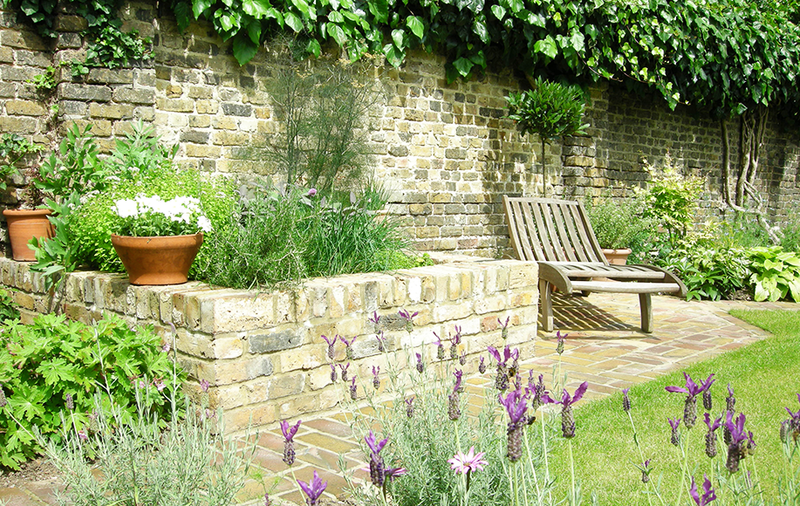 They required an updated design, with an English-garden feel, using the existing brick patio and an ivy-covered boundary wall. The design uses diagonal brick paths to draw the eye across the site and make it appear wider. 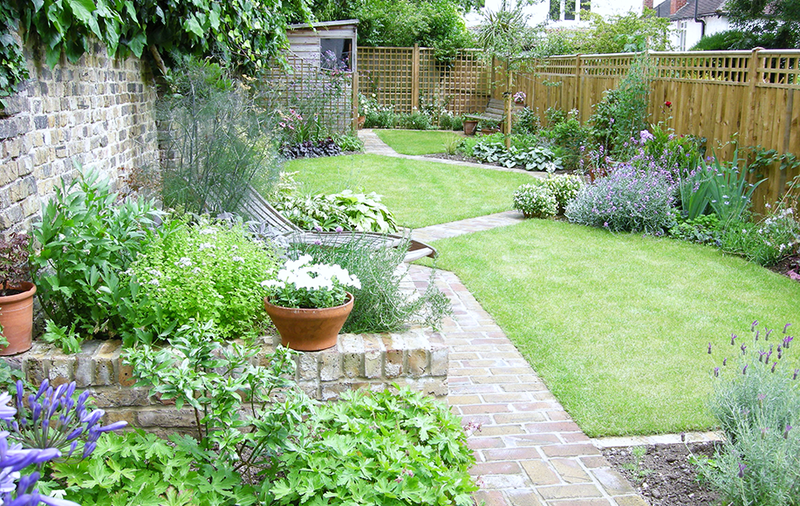 The resulting triangular beds provided generous areas for cottage-style planting. 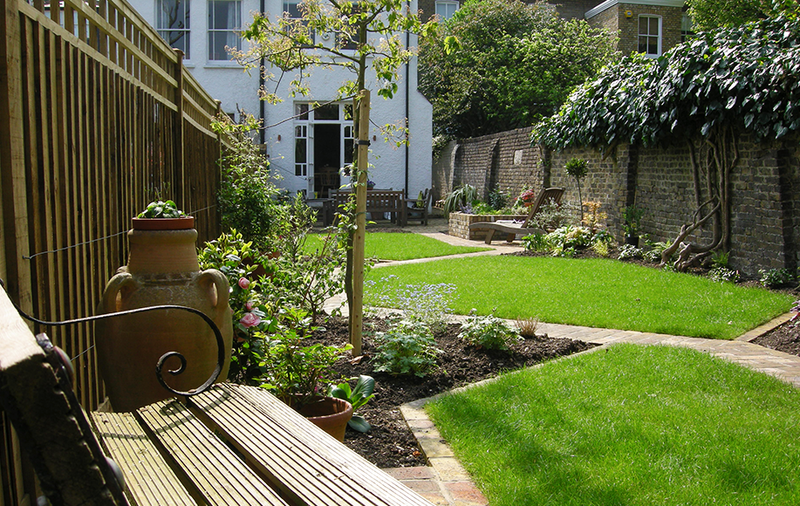 A raised bed introduces a change of height, added interest and easy gardening, and a seating area at the end allows for a different view of the garden. The old ivy is removed from the wall, revealing a stone insert which will eventually have a carved inscription.